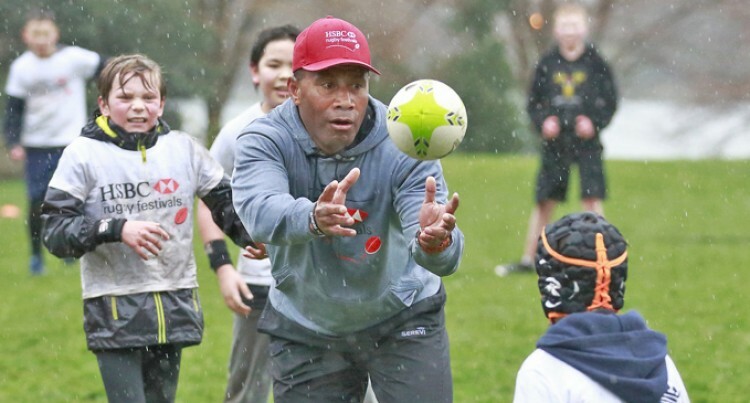 Waisale Serevi (centre) conducts a rugby sevens clinic Vancouver, Canada. Photo: Zimbio. Former World Rugby chairman and International Olympic Committee member Bernard Lapasset, the man credited for the introduction of sevens rugby to the Olympics reveals that it was Fijian maestro Waisale Serevi that convinced him to promote the sport. Speaking following Fiji’s historic gold medal victory at the Rio Olympics 2016, Lapasset who stepped down as World Rugby Chairman last year to co-chair the Paris Bid 2024 paid tribute to the man dubbed ‘The King of Sevens’ (Serevi). “As you know it’s a long story and a fantastic achievement you had today,” he said. “But you know when I started to promote the rugby sevens, I think a fantastic man who was doing it at that time was Serevi, the Fijian captain, the Fijian leader and he was a genius of the game. I talked with him and he talked to me about freedom, about space, the fighting spirit and the quality of the team and game. “He was a fantastic engineer of the game and that’s why I decided to promote the sport. Lapasset has been a close friend of Oceania National Olympic Committees (ONOC) president Dr Robin Mitchell in the IOC. Lapasset’s successor- former Lions prop Bll Beaumont predicts a bright future for 7s rugby in the Olympics. “I can see rugby becoming a core sport and Fiji will go on to win a lot of medals in the future. “We’ve been reaching new markets without sort of ignoring our old markets but I can see rugby going from strength to strength and hopefully in Fiji more girls and boys, man and woman will start to play the game,” said Beaumont. Serevi who travelled the globe to promote sevens rugby was not in Rio for the Olympics as he was with daughter Asinate a member of the United States women’s 15s rugby team.